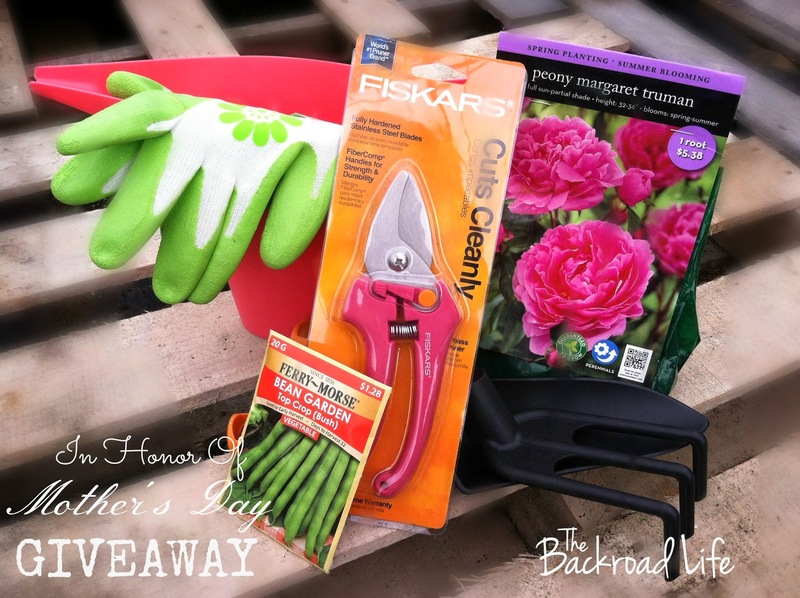 The Backroad Life: In Honor of Mother's Day GIVEAWAY Winner!! I hope everyone had a wonderful Mother's Day! I know I sure did! We spent the day working in the garden and had lunch and dinner at my husband's grandparents. It was a beautiful day outside and was nice to get some things done and be with family! With random.org I have a winner for the In Honor of Mother's Day Giveaway! "I absolutely LOVE my grandmother's tulips I recently transplanted. They are my pride and joy. I also love my weeping cherry tree. It was the first tree I planted on our property. I love watching it grow and bloom." Enjoy your fun gardening set! Thank you all for entering! I loved your comments and also love the same plants you do.